The notice in the Bank window reads ‘No tax to pay in this attractive savings account’. The furniture shop declares ‘buy this suite - VAT free’. Corporations and individuals make strenuous attempts to avoid paying taxes and other revenues to the state. There is a tacit social contract that, in an ordered government, the citizen is protected from predations from within the country, and is safe from attack from abroad. For these matters alone it needs money, the withholding of which casts an unfair burden on others and the state cannot perform its primary functions. Moreover, those in authority are, by the consent and possibly the approbation of the people, to pay for further facilities, including an infrastructure - roads, the provision of utilities necessary to civilised life, the encouragement of trade, health of the populace, control and military force. In former days (and currently in some parts of the less developed world) the inhabitants do not pay taxes. It is not uncommon that these areas are ruled by repressive and corrupt dictators. It is well argued that legal revenues are essential for mature democracies to survive and it is a civic duty so to pay them. Other means of raising money, such as by tribute, the buying off to a hostile state (e.g Danegeld) and the plunder of foreign weaker peoples are no longer available and in any case are improper. 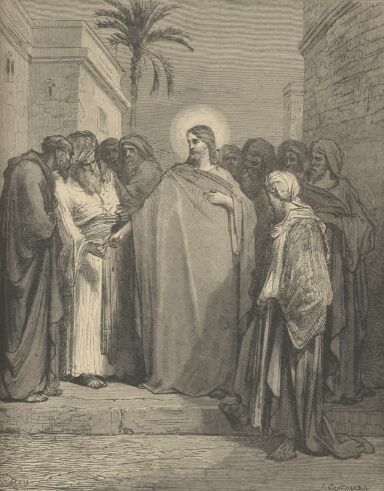 In Matthew Ch 22 from Verse 17, Jesus is asked by the Pharisees, “Tell us, what thinkest thou - is it lawful to give tribute to Caesar or not?” At that time the Holy Land was under the control of an occupying force - the Romans, with puppet local rulers and a Roman Prefect in overall charge. Jesus, sensing a trap, gave a brilliant response, though not answering directly. 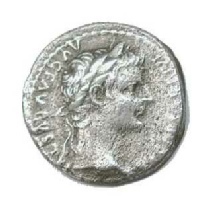 He called for a coin (said to be a Denarius), and said: “Render unto Caesar the things that are Caesar’s and to God the things that are God’s”. A further requirement of any civilised society is to take care of the poor who are unable to fend independently for themselves. For these duties, inspired by Christian doctrines, some societies, including our own, have evolved a Welfare State. Although the notion is capable of abuse and may well have unintended consequences (such as the enfeebling of individuals to fend for themselves, and to encourage idleness) it is widely thought to be ‘a good thing’. For this good thing alone to work it is essential that the State collects its dues and revenues. Pay up with good grace.